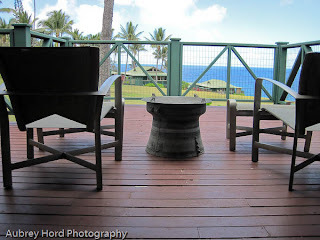 I have to admit, when , my husband suggested we go stay in the Hotel Hana-Maui for our wedding anniversary, I was giddy. It is my favorite resort on the planet and only a couple of hours away from where we live. 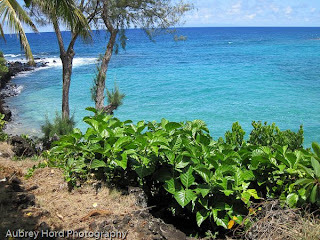 It is a stunning property located on the hillside next to Hana Bay overlooking the ocean. It is a property that has a lot of history and long time employees whose families have worked in the hotel for generations. Hana is incredibly relaxing anyway, but the hotel makes it easy to settle in quickly and enjoy just being on vacation. I think not having TVs in the rooms (or clocks for that matter), make it easier to relax and keep the grounds peaceful. 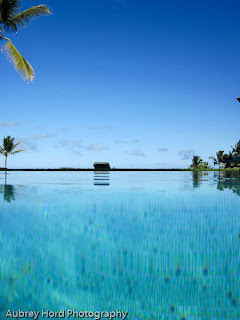 There are a couple of pools on property and one of them is an infinity pool that visually drops down into the ocean. It is the perfect temperature to hop in any time and get in some laps or just float on the surface watching the palm trees sway overhead. We were fortunate to be able to stay in a Sea Ranch Cottage with a full ocean view which just added to our joy when we arrived. The lanai has a couple of chairs and a table where you can enjoy your breakfast or cocktails and you can fall asleep with the sound of the ocean in the background. The impeccably managed grounds are simply idyllic. The pathways through the property are lined with plumeria trees of all colors, monstera leaves, travelers palms, enormous banyan trees, lipstick palms, heliconia, ginger and ti leaves along with many others. 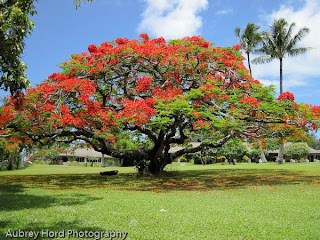 This time of year, the Royal Poinciana Trees are in full bloom on the grounds, filling the background with red blooms and show stopping neon red. We had perfect weather for the three days we were there and had a chance to stop by Hamoa Bay for some beach time and body surfing. 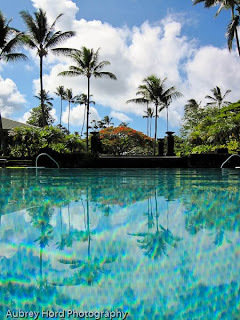 If you have the chance during your stay on Maui to spend a couple of nights at the hotel, it is well worth the money and the road trip to get there. The staff is full of the aloha spirit and the food options are numerous now with amazing roadside stands filled with delicious plate lunches featuring fresh fish, chicken, steak and shrimp. We couldn't get enough of B ruddah Hutts just outside of Hana town in the row of pine trees. HUGE portions of food cooked to order including garlic shrimp, steak plates, chicken and veggies, shrimp pasta and more... The family that runs the stand changes up the chef daily and each adds his or her own recipes to the mix daily so you can go almost every day and have a slightly different menu which makes it a great option for food in Hana. Ono Organic Farms sets up their stand a couple days a week in town just past the gas station (there is only one gas station in Hana) and if you are lucky enough to catch them, be sure to buy as much as you can fit in your cooler. They have amazing fresh fruit and veggies and many times will let you try it before you buy it which helps because some things (like dragon fruit) are beautiful but more of an acquired taste. They have fabulous organic tropical fruit of all varieties. We also discovered Hana Fresh located right at the Hana Health Center in the white tents. They are open every day and feature lemongrass iced tea which is addicting, fresh local coffee (iced or hot), a freshly caught sashimi and local fish fillets, fresh fruit and granola, yummy banana mac nut bread, a full espresso bar, fresh locally grown veggies and local crafts. If you are in Hana on Sunday or Monday, check out the delicious Thai food just behind the ball field. Just before you get to Hana town, Nahiku Marketplace now features Thai food, Chinese food and tacos available along with the freshly baked (and addicting) coconut candy, full espresso bar and art gallery. The adventure to Hana is definitely changing for the better with more roadside stands featuring local flowers, fresh fruit and veggies along with flower lei for the road traveler. Take a trip and enjoy the ride! that looks sooo amazing! sign me up! glad your trip was awesome!